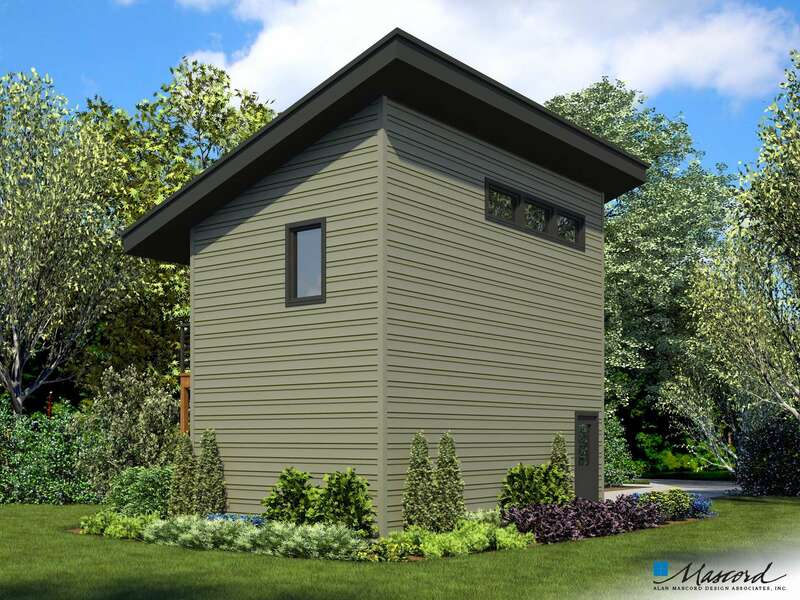 Everything in this contemporary home is designed to maximize space and keep costs low while still including key amenities in a stylish way. 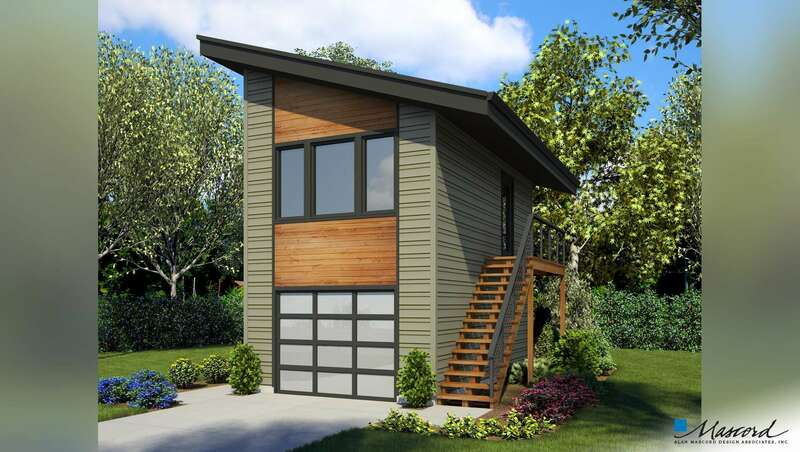 With its clean lines and modern design, this versatile building works wonderfully as a guest house, tiny house, or studio. 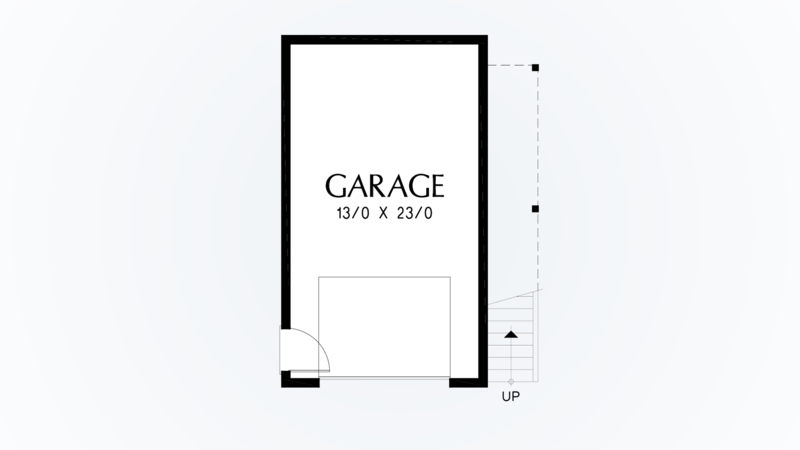 The ground floor offers a big garage for one vehicle and plenty of storage. 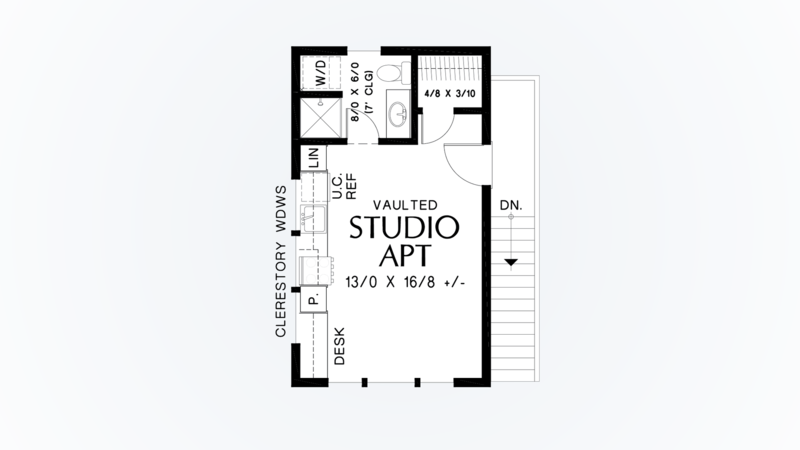 The second floor is a beautiful studio apartment that feels spacious due to vaulted ceilings. The ceilings are high enough that the space feels like a loft. 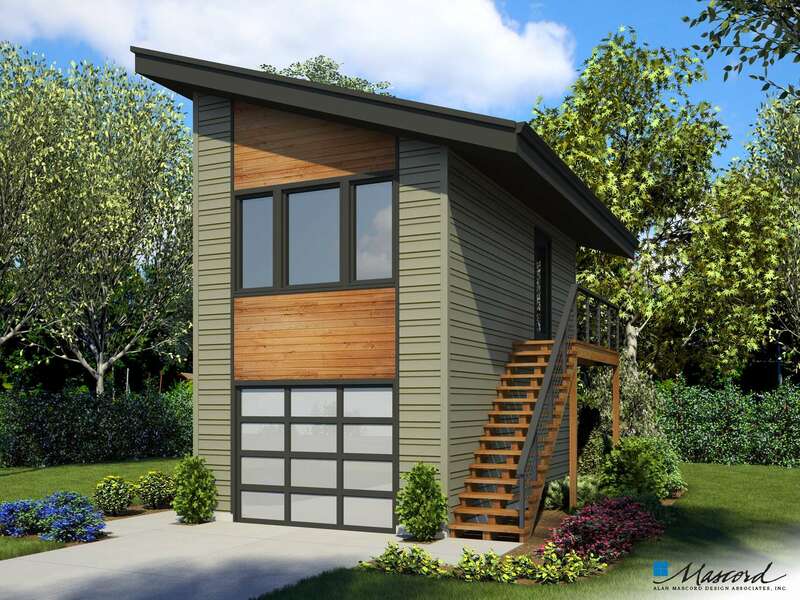 Perfect for artists, photographers, and dreamers, you'll enjoy lots of natural light from the three huge windows above the garage. Sit back and take-in the view as you work at your built-in desk that sits caddy corner to the windows. Picture yourself spending long hours here, creating at the desk, or using the open space in the middle of the apartment to bring your artwork to life. When you need a break, grab a snack from the pantry to the right of your desk, or cook something in the kitchen that's tucked economically against the wall under three clerestory windows. The full bathroom includes a small window, so you can see out but don't need to worry about people seeing in. You'll also enjoy the convenient hook ups for washer and dryer, ensuring you'll never need to save up all your quarters or waste an evening at the laundromat again. A huge walk-in closet right by the front door completes the space. It's big enough for clothing and additional storage for common household items like a vacuum or ironing board or even your extra art supplies.